Wagner's is the industry leading producer of quality Wild Bird Food products, supplying retailers nationwide. 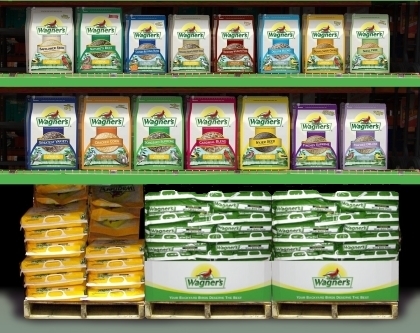 If you are a retailer interested in carrying the Wagner's line of Wild Bird Food products, Wagner's would welcome the opportunity to speak with you about the advantages of placing Wagner's Wild Bird Food on your shelves. Please contact Wagner's at sales@wagners.com or call us at 516-933-6580 for more information about becoming a Wagner's retail supplier. Thank you for your interest in Wagner's!